SER2017 is quickly shaping itself into a dynamic, informational, and inspiring conference. Ten exceptional keynote speakers from across the world have accepted our invitations to participate in four interactive plenary sessions addressing a variety of timely and resonant themes. The conference will open with a plenary session exploring our current ecological situation worldwide, with a special focus on water resources, and potential outcomes if we don’t change course, and opportunities to think innovatively and creatively, especially in the context of ecological restoration, to address these challenges. We are delighted to welcome Charles Vörösmarty to discuss the challenges, and Jakki Mohr who will focus on innovations and solutions. Our second plenary session, on Tuesday, will directly address the conference theme - Linking Science and Practice for a Better World. The first speaker, Katharine Suding, will provide an overview of the science and theory of ecological restoration, while our second speaker, Richard Hobbs will offer reflections on how the science of restoration ecology can inform the practice of ecological restoration. We will consider the difficulties of putting science into practice and what that means for setting goals and identifying effective approaches on the ground. Wednesday will enable us to move from the lecture hall to the field – all delegates will be encouraged to join field trips that day to see how science and practice truly intersect on the ground. Ideally, the ideas and theories from our first two days of plenary sessions, symposia, and regular sessions will provide an excellent foundation for this collective field day. In addition, it will ensure that delegates have an opportunity to experience the natural systems, conservation challenges and restoration activities around Foz do Iguacu, while also gaining a first-hand understanding of ecosystem services and socio-cultural issues in the area. We will reconvene at the conference center on Thursday for the third plenary, to discuss the global scale international commitments for and progress towards restoring biodiversity and ecosystem services. We will hear from three speakers during this plenary, Sandra Diaz, Miguel Calmon, and Brigitte Baptiste addressing actions under the Intergovernmental Science-Policy Platform on Biodiversity and Ecosystem Services - IPBES, Initiative 20/20, the Bonn Challenge, and new efforts to implement the Paris Climate Agreement. Our speakers will discuss how ecological restoration intersects with and/or helps with the delivery of these many global targets and agreements to provide ecosystem services, conserve and enhance biological diversity, and to sequester carbon and otherwise reduce the impacts of climate change. Our speakers will specifically address both the expectations of the society as a whole, and the expectations of local stakeholders and landowners, ensuring that we are incorporating socioecological issues at multiple scales as we promote and implement ecological restoration. The closing plenary session on Friday will bring an overview of the science and practice of restoration focused on different large groups of ecosystems. Robin Chazdon, Elise Buisson and Terry Hughes will bring us back to the conference theme of linking science and practice by focusing on the “how-to’s” of forests, grasslands and marine ecosystems. The final plenary will help integrate the many different topics and discussions of the conference into a collective agenda to reach ambitious global restoration targets and goals. 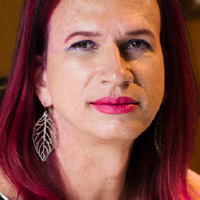 Biologist by training with research experience in Amazon fish ecology, then did a MA at UFlorida in Latin American studies, working with forest management by Andean peasants. Worked for a decade as Landscape Ecologist, teaching at the Faculty of Environmental Studies and Rural Development of the Javeriana University in Bogotá. With further studies, incomplete, at the PhD program of Environmental Science at U Autonoma de Barcelona, was appointed as General Director of Instituto Alexander von Humboldt 6 years ago. After semester for thought at U Columbia (Earth Institute), while keeping duties as MEP member of the IPBES (member of the global panel of the Plataform on BIodiversity and Ecosystem Services), I am again in Colombia sicne January 2017. Dr. Vörösmarty's research centers on human-environment interactions. 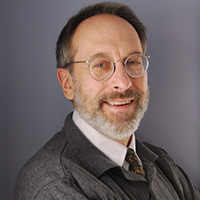 He has led several teams that have executed interdisciplinary studies using earth system models depicting the Northeastern U.S., developed and analyzed databases of reservoir construction worldwide and how they generate downstream coastal zone risks, and assessed global threats to human water security and aquatic biodiversity. Dr. Vörösmarty routinely provides scientific guidance to a variety of U.S. and international water consortia. He was a founding member and from 2004-14 served as co-Chair of the Global Water System Project and more recently helped to design its follow-on, the Sustainable Water Future Programme. In 2015-16 he served as Scientific Co-Chair of the Arctic Futures Initiative of the Arctic Council and International Institute of Applied Systems Analysis. He has served on a broad array of national panels, including the U.S. Artic Research Commission (appointed by Presidents Bush and Obama), the NASA Earth Science Subcommittee, the National Research Council Committee on Hydrologic Science (as Chair), the NRC Review Committee on the U.S. Global Change Research Program, and the National Science Foundation’s Arctic System Science Program Committee. He is spearheading efforts to develop global-scale indicators of water stress and has been working with chief U.N. delegates who are negotiating the Sustainable Development Goals on water. Recent work is aimed at introducing quantifiable metrics on corporate environmental performance into investment decisions made by the private sector within the impact investing domain. What do we know about tropical grassland resilience and restoration? 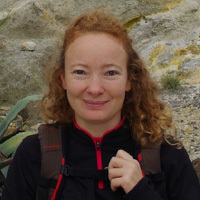 Dr. Elise Buisson is Associate Professor at the University of Avignon (France), in the Mediterranean Institute of Biodiversity and Ecology (IMBE). Her research concerns herbaceous ecosystem (grassland) plant community ecology applied to biological conservation or ecological restoration. It implies studying plant community assembly theory, i.e. searching for the driving forces in the development of ecological communities and elucidating the mechanisms by which species coexist. 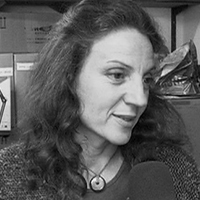 She therefore carries out research on disturbance, succession, assembly rules, filter models, interactions between living organisms, relationships between abiotic characteristics and organisms, species dispersal, etc.. She aims to apply the results of her findings to identifying appropriate conservation management tools and restoration techniques. Her biological models are mainly Mediterranean and tropical grasslands. Dr. Elise Buisson has participated in the SER conferences since 1998 and is a board member of SER Europe since 2010. She is actively involved in federating the French-speaking community working in restoration ecology to bring practitioners, land managers, researchers, students and elected representatives together (REVER). Dr. Jakki Mohr is the Regents Professor of Marketing, the Gallagher Distinguished Faculty Fellow, and Fellow, Institute on Ecosystems, at the University of Montana. She received her Ph.D. in Marketing from the University of Wisconsin-Madison. Prior to joining the University of Montana in 1997, Mohr was an assistant professor at the University of Colorado, Boulder. Jakki studies challenges companies face in developing and commercializing break-through innovations, including a broad range of technologies ranging from scientific innovations to innovations in restoration and ecology. 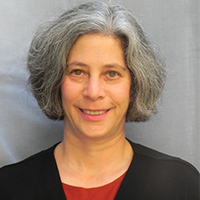 She served on the National Academies of Sciences Committee to overcome barriers to electric vehicle deployment in the United States (2012-2015). An innovator in the field of marketing high-technology products and services, Mohr has achieved international acclaim for Marketing of High-Technology Products and Innovations (2010, 3rd edition, with Sanjit Sengupta and Stanley Slater), used by colleges and universities worldwide (translated into three languages) as well as by managers for executive training sessions. In addition, her book has resulted in invitations to guest-teach universities around the world, including ORT University (as a Fulbright Specialist) in Montevideo, Uruguay, Chile, Switzerland, Finland, Sweden, India, France, and Italy and to conduct executive education at companies both large and small. Her recent research is situated at the intersection of the natural world and business. For example, she studies the business of restoration, how companies use biomimicry (innovations inspired by nature, based on underlying biological mechanisms) to solve technical and engineering challenges, and business impacts on nature. Her early research focused on organizational communication between partners in strategic alliances/ partnerships in distribution channels. 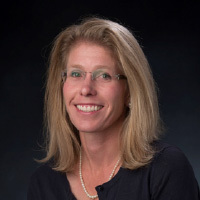 Mohr's research has received national awards, and has appeared in Restoration Ecology, the Journal of Marketing, the Strategic Management Journal, the Journal of the Academy of Marketing Science, the Journal of Product and Innovation Management, the Journal of Public Policy and Marketing, among others. She has also received numerous teaching awards. 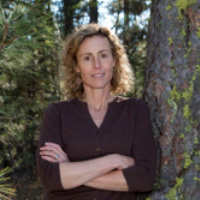 Katharine Suding is Professor of ecology at the University of Colorado in Boulder Colorado USA. She received her PhD from the University of Michigan and was on the faculty at the University of California Berkeley before moving to Boulder. She leads the Long-term Ecological Research Program at Niwot Ridge and is a Fellow of the Ecological Society of America. Her research is aimed at understanding the spatial and temporal dynamics of systems, why some systems change rapidly and others are surprisingly stable, and how this information can help us better meet conservation and restoration goals. He holds a Postdoc in Crop Modeling, University of Florida; Ph.D. in Soil Science, Penn State University; Masters in Irrigation Engineering, K.U. Leuven (Belgium); and a B.A. in Agronomy, UNESP, São Paulo, Brazil. He joined The Nature Conservancy in October 2000 and during the first two years worked as the Carbon Monitoring Coordinator. In 2003 became the Director of the Atlantic Forest Conservation Program and in 2009 the Director for the Forest and Climate Change Program in Latin America. In June 2010 he left the Conservancy to work for BioAtlântica Institute in Rio de Janeiro to support the development and implementation of large scale restoration and ecosystems services projects in the Atlantic Forest biome. In May 2011 joined OCT-Odebrecht Foundation to lead the Ecosystem Services Cooperative Alliance in Southern Bahia. In August 2001 rejoined The Nature Conservancy as Conservation Strategy Advisor for Latin America and in July 2012 became the Manager of Latin America´s Sustainable Food Security Regional Unit. In June 2013 he joined the International Institute for Sustainability (IIS) in Rio de Janeiro as the Project Director, responsible for managing and coordinating the implementation of sustainable agriculture and large-scale restoration projects. On August 1st 2013 he accepted a position with IUCN as Senior Manager of Forest Landscape Restoration at the Global Forest and Climate Change Program in Washington, DC and after 3.5 years he joined WRI Brazil in March 2017 as the Director of Forests. He was the Coordinator of the Atlantic Forest Restoration Pact (AFRP) from April 2009 – April 2011. 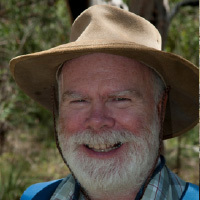 Richard J Hobbs is Professor and IAS Distinguished Fellow in the School of Plant Biology at the University of Western Australia, and leads the Ecosystem Restoration and Intervention Ecology Research Group. 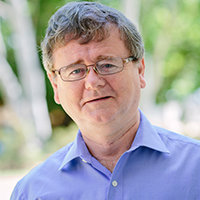 Originally from Scotland, where he completed his undergraduate and doctoral degrees, he worked as a postdoc at Stanford University before moving to Western Australia in 1984. There, he has worked at CSIRO and Murdoch University before moving to UWA in 2009. His work has contributed to and advanced conservation biology, landscape ecology and restoration ecology. He is a Highly Cited Researcher in Ecology and Environment. He focuses on sound empirical field ecology, conceptual and synthetic development, and practical on-ground application to ecosystem management and restoration. He maintains long-term studies in California and Western Australia. His work on restoration ecology, intervention ecology and novel ecosystems aims to provide a framework to guide management and policy, and has also promoted much needed scientific and public debate in this area. Robin Chazdon is professor emerita in the Ecology and Evolutionary Biology Department at the University of Connecticut, USA. Her long-term and on-going collaborative research focuses on successional pathways, forest dynamics, drivers of land-use change, and functional ecology of trees in Neotropical forests. 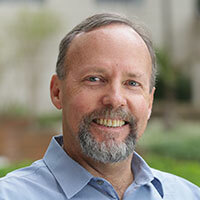 Chazdon served as Editor-in-Chief of the journal Biotropica, as President of the Association for Tropical Biology and Conservation, and as a member-at-large of the governing board of the Ecological Society of America. She is a member of the Board of Directors of EcoLogic Development Fund. She currently serves as the Executive Director of the Association for Tropical Biology and Conservation and Director of the NSF-funded Research Coordination Network PARTNERS (People and Reforestation in the Tropics), focused on understanding the social and ecological drivers of reforestation in the tropics. After 28 years as a university professor, Dr. Chazdon is moving into the science-policy arena in forest landscape restoration. She has taken on new positions as a Research Professor with the Tropical Forests and People Centre at the University of the Sunshine Coast and as Senior Research Associate with the International Institute of Sustainability in Rio de Janeiro, Brazil. She recently became a Senior Fellow with the World Resources Institute Global Restoration Initiative, where she is working to enhance decision support tools for landscape restoration and promote natural regeneration in restoration planning. She is an author of over 140 peer-reviewed scientific articles and co-editor of two books on tropical forests. Her sole-authored book “Second growth: The promise of tropical forest regeneration in an age of deforestation” was published in 2014. Her home base is now Boulder, Colorado. Sandra Díaz is Co-Chair of the IPBES Global Assessment. She is a Professor of Community and Ecosystem Ecology at Córdoba National University, and Investigador Superior (the highest academic position in the Argentine National Research Council, CONICET). She is the founder and director of the international initiative NúcleoDiverSus on Diversity and Sustainability. She is interested in plant functional traits and general patterns of functional specialization, their interactions with global change drivers and their effects on ecosystem properties. She has had a strong influence in the theoretical development and practical implementation of the concept of functional diversity and how it affects ecosystem properties and the benefits that different people derive from them. She has authored more than 150 scientific publications, many of them in leading academic journals. She is a member of the Academies of Science of Argentina, USA, France and the Developing World (TWAS), an Honorary Fellow of the British Ecological Society and a Fellow of the Ecological Society of America. She is a co-founder and co-leader of TRY, the Global Communal Plant Trait Initiative. She has served in leading positions in IPCC the Millennium Ecosystem Assessment and DIVERSITAS. She is part of the Science Committee of the ICSU integrated science initiative Future Earth. Between 2013 and 2016 she has served as a member of the Multidisciplinary Expert Panel of the Intergovernmental Platform on Biodiversity and Ecosystem Services (IPBES), where she has had a prominent role in leading the IPBES Conceptual Framework. She is now Co-Chair of the IPBES global Assessment. Terry has broad research interests in ecology, marine biology and the social-ecological dynamics of coral reefs. He received his PhD in 1984 from Johns Hopkins University in Baltimore, USA and was an NSF Postdoctoral Fellow at the University of California, Santa Barbara before moving to Australia and James Cook University in 1990. Terry was elected a Fellow of the Australian Academy of Science in 2001 in recognition of “a career which has significantly advanced the world’s store of scientific knowledge”. A recurrent theme in his studies is the application of new scientific knowledge towards improving management of marine environments. His recent work has focused on management and transformative governance of the sea in Australia, Chile, China, the Galapagos Islands, Gulf of Maine and the Coral Triangle. According to Google Scholar his career citations exceeding 40,000. In 2008, he received the prestigious quadrennial Darwin Medal of the International Society for Reef Studies. In 2014, he was awarded an Einstein Professorship by the Chinese Academy of Science, and in December 2016 he was recognized by Nature magazine as one of the Ten people who mattered this year for his work on climate change and coral bleaching.